Winner of the Beverage Testing Institute's Gold Medal, Penn Pilsner was introduced in 1986 as Pennsylvania's first entrant in the Microbrewery revolution and since then has become a favorite of thousands of their local supporters'Not to mention the demanding tastes of our more than righteous beer panel! First impressions are everything and this one is awesome! Notice the clean golden straw hue coupled with a jagged cottony head that adheres to the glass. The flagship brand of Pennsylvania Brewery is made with 2-row and caramel- roasted barley malts, imported Hallertau hops and no preservatives. Look for a subtle trace of sweet honey in the nose with an assertive hop finish. 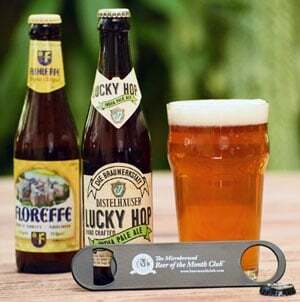 Note a smooth Vienna-style lager that combines full body with a noble hop aroma. An extremely smooth and enjoyable brew that would be a solid accompaniment to any Spring barbecue with friends, heck you can even enjoy this one with strangers! What better way to savor the traditions of St. Patrick's Day than with not one, but two unique award winning East Coast Breweries? Tom Pastorius founded the Pennsylvania Brewing Company in 1986. The goal was to brew authentic German beers, which it did in addition to becoming the first microbrewery in Pennsylvania and a pioneer in the microbrewery renaissance. The brewery and brewpub are located in Pittsburgh; housed in the same building where the historic Eberhardt Brewery once existed. No detail was overlooked from its solid copper brewhouse imported from the motherland, to its authentic German fermentation and aging tanks, filtration equipment, kegging and bottling equipment. Another unique facet to Pennsylvania Brewing's success is that the brewery imports all of its ingredients, uses German recipes, brewing methods and even has a German brewmaster! Caution: Reader may suddenly have the urge to grill up some bratwurst! All beers are made in strict accordance to the German beer purity law know as "Rheinheitsgebot" which means that only the four classic ingredients are used in their beer: malted barley and/or wheat, hops, yeast and of course water. It is strictly prohibited to use such common adjuncts as corn and rice. You won't find the words "preservatives" or "stabilizers" in the vocabulary of Penn's brewmaster. And you thought the Trappist Monks had it bad! What you have before you is just authentic, honest, all natural beer made the way it's made in Germany. 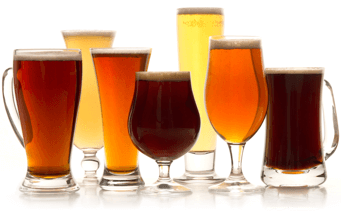 Our beer panel had an excruciating time this month selecting only two styles from the numerous selections offered up by Pennsylvania Brewing Company. In addition to the Penn Pilsner and Penn Dark that you'll have the chance to try this month, the brewery produces a number of unusual lagers and ales including a classic German Pilsner, Oktoberfest, Bavarian Hefeweizen, and a Munich Helles style beer.